Anyone have experience with their 5.7 ammo? I just purchased a box of the V57 Prime. It has a GS CUSTOM USA 34 gr solid pure copper segmented projectile. These look very close to a copy of EA's round. Been trying to get my hands on some..
Buffman wrote: These look very close to a copy of EA's round. Been trying to get my hands on some.. Which of the EA ammo does this look like? They have a few others as well. Ok...had no idea there was litigation going on or was. Apologies to Jay and EA for posting....again had no idea. Mods...feel free to delete thread. 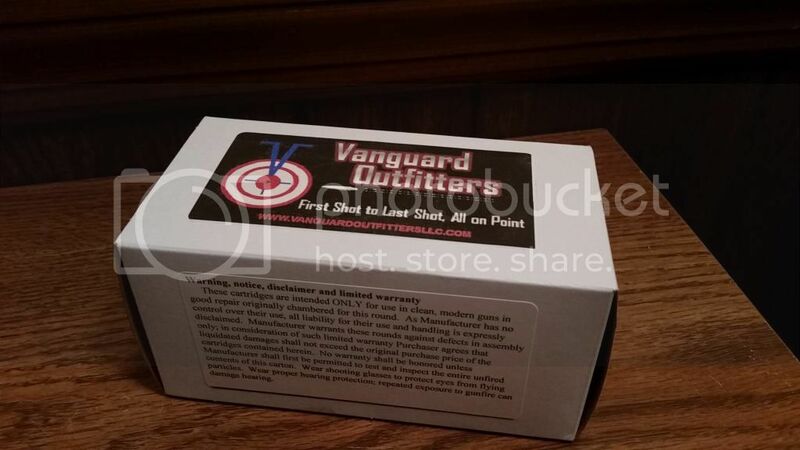 I bought 50 rounds of the Vanguard. They have illegally copied our round and we are getting ready to sue the sh!t out of them. Is it just me or do those cases kind of look--well--a little ruff? I think I see a bit of a crimp at the top, but it doesn't look like a Lee style crimp, maybe it's from those CHD (SP!) dies? I'm all for more products on the market, but if it's 1x brass, it's for the range. I want the new stuff if I need the FsN to keep me safe. DoubleJ wrote: I'm all for more products on the market, but if it's 1x brass, it's for the range. I want the new stuff if I need the FsN to keep me safe. Description on website states new brass although it does appear a bit rough. 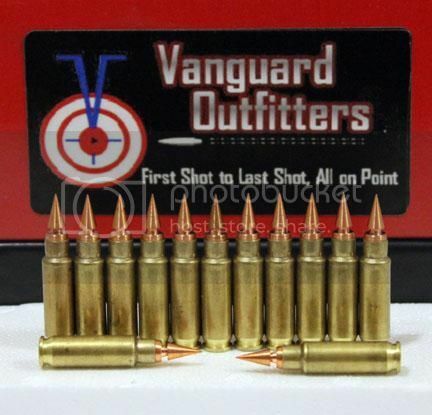 "This ammunition is manufactured by us utilizing new brass and the highest caliber components. 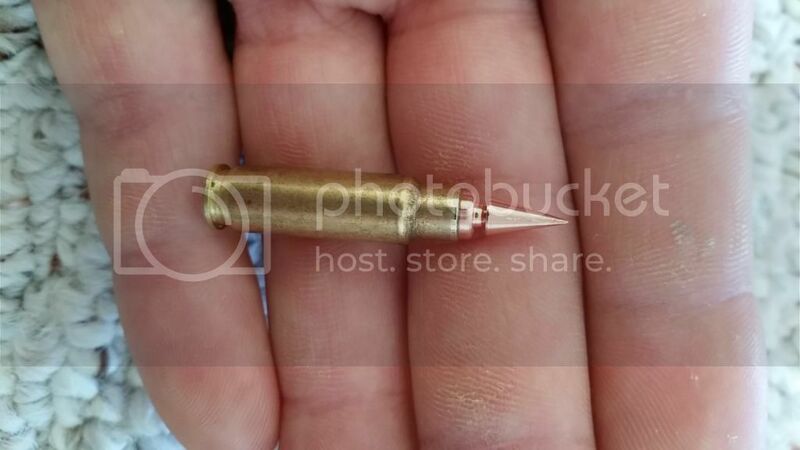 In this cartridge, the bullet is a GS CUSTOM USA 34 gr solid pure copper segmented projectile. It has design aspects that are patented by GS CUSTOM USA. Please see their website at http://www.gscustomusa.com" onclick="window.open(this.href);return false; for further information. It is specifically engineered and designed by them for the 5.7x28 to achieve the highest accuracy with the bore/groove/twist specifications for this caliber. 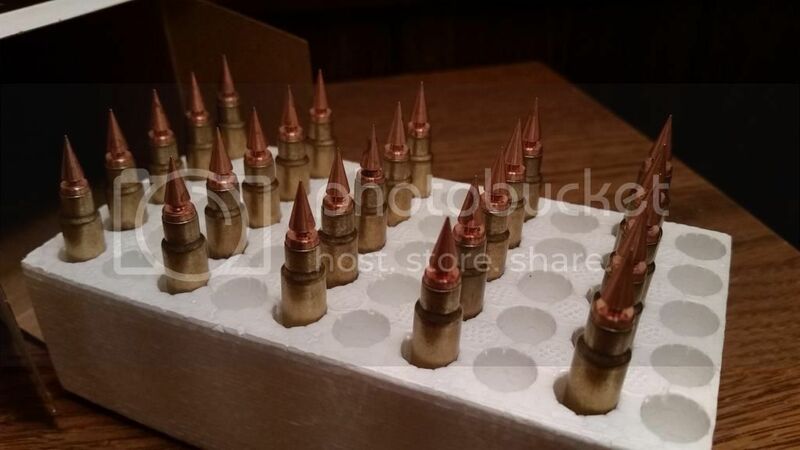 This ammunition does not utilize reloaded brass - we use new brass. Bullet design can be used with any factory magazine. GS was a contractor of mine, that is my bullet design and they have violated my NDA/NCA when I contracted them to make my bullets. They aren't going to be around very long. panzermk2 wrote: GS was a contractor of mine, that is my bullet design and they have violated my NDA/NCA when I contracted them to make my bullets. Why would they think you would not have a problem with this? The belief that they changed the design significantly enough that they could succeed possibly? They have not changed the design, in fact the guy running the machine right now can't program in the code that lathe uses. He is just running the file already in the machine. panzermk2 wrote: They have not changed the design, in fact the guy running the machine right now can't program in the code that lathe uses. Keep us up to speed as it plays out, I want to see the system at work. Edit: The name GS was ringing a bell in my head, I thought they were from South Africa? Maybe I'm getting them confused with Frontier. Yes they where in SA, then they opened up a US facility and I was one of their first customers. I visited there just weeks after their first machine was delivered. This is how I know all about them. I helped them get their second machine by committing to bullet orders so they could get financing. The guy who created the cut file for my bullet, in the language used by the lathe, is no longer a part of GS. I wonder what the price on these are would love to get some! !